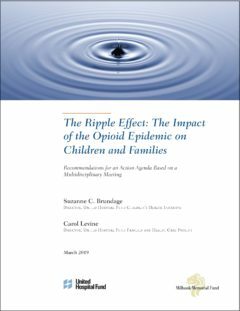 Last month, the Milbank Memorial Fund and the United Hospital Fund released a report, The Ripple Effect: The Impact of the Opioid Epidemic on Children and Families, which made clear that the magnitude of the epidemic’s impact is much greater than realized. 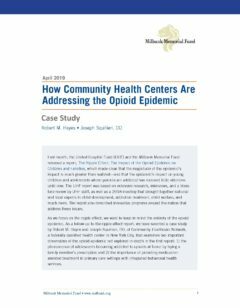 This case study, a companion to the report, explores how community health centers are addressing the opioid epidemic. 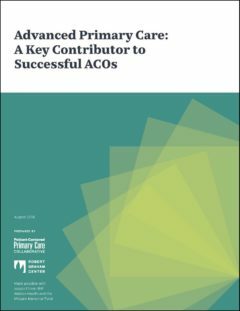 In this issue brief, John Kitzhaber, MD, former governor of Oregon, and Bruce Goldberg, MD, former director of the Oregon Office for Health Policy and Research, outline why strong Medicaid management matters. Speaking directly to governors, the authors spell out why greater state investment in Medicaid administration is critical to attracting and retaining the talent needed to ensure that the program is flexible and innovative, fiscally responsible, and stable. Opioid addiction is well recognized as a national crisis, but its impact on children and adolescents whose parents are addicted has received little attention. This report, published by the United Hospital Fund (UHF), with support from the Milbank Memorial Fund and the Alfred P. Sloan Foundation, makes clear that the magnitude of the epidemic’s impact is much greater than realized. A certificate of public advantage (COPA) is a tool used by states to permit and oversee hospital mergers that create monopoly powers. A few months ago, we published a paper about the use of a COPA in Tennessee and Virginia. But what happens when a COPA is repealed? 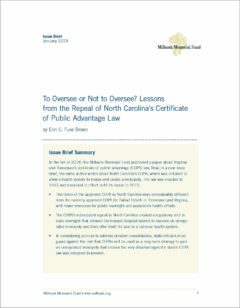 This issue brief looks at the COPA law in North Carolina that was enacted in 1993 and repealed in 2015. It provides a cautionary tale for other states considering COPAs. How are states responding to the growing trend of hospital system mergers? 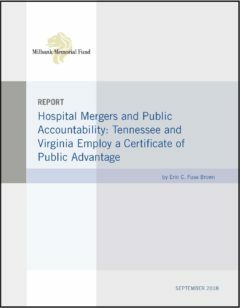 Some states have responded by issuing certificates of public advantage (COPAs), a legal mechanism through which they can approve mergers that reduce or eliminate competition in return for commitments to make public benefit investments and control health care cost growth. 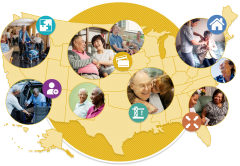 In effect, a COPA creates a state-monitored monopoly—or a public utility model of health care delivery. This report describes the experience of Tennessee and Virginia. 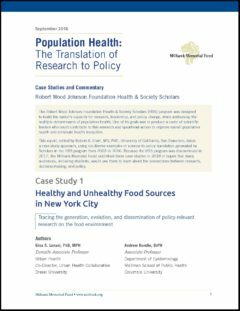 These case studies use six diverse examples of science to policy translation generated by Robert Wood Johnson Health & Society Scholars in the HSS program from 2003 to 2016. 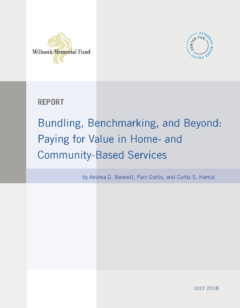 Because the HSS program was discontinued in 2017, the Milbank Memorial Fund published these case studies in the hope that many audiences, including students, would use them to learn about the connection between research, decision making, and policy. In Chicago, they are preventing lead poisoning in young children. In Chatham County, Georgia, they are building a continuity of care system for jail inmates, and in Washington State, they are using multiple data sets to coordinate care for dual eligibles. 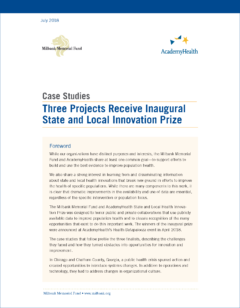 Meet the winners of the inaugural Milbank Memorial Fund and AcademyHealth State and Local Innovation Prize.